The undisputed king of boxing movies, Rocky, seemingly hung up its gloves with 2006’s Rocky Balboa acting as the perfect send-off for Sylvester Stallone’s Italian Stallion. 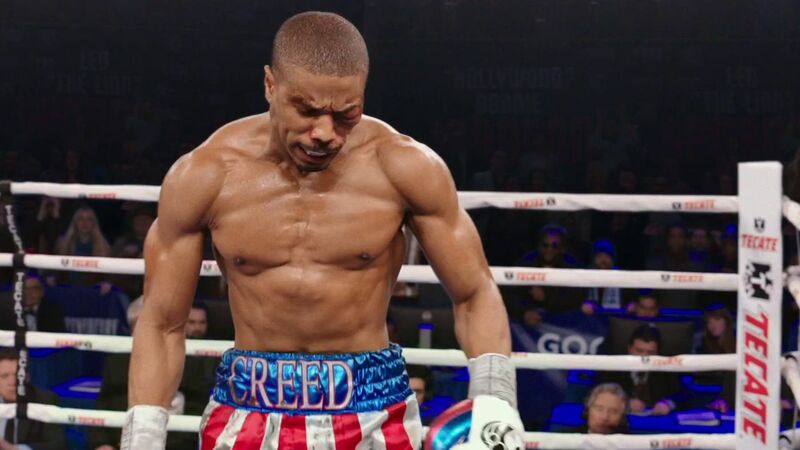 But as Hollywood has taught us time and time again, you can’t keep a good franchise on the mat for long and we’re once again thrust into the unlikely prize fighter’s world with Creed. As the title suggests, focus is taken off of Rocky and put onto Apollo Creed’s baby boy, Adonis (Michael B. Jordan), the product of an extra-marital affair. Growing up in the care of Apollo’s wife Mary Anne (Phycilia Rashard) after his mother’s death, Adonis always dreamed of following in his father’s footsteps, despite Mary Anne’s vehement protests. Travelling to Philadelphia, Adonis tracks down Rocky, who reluctantly agrees to coach his rival and old friend’s son. 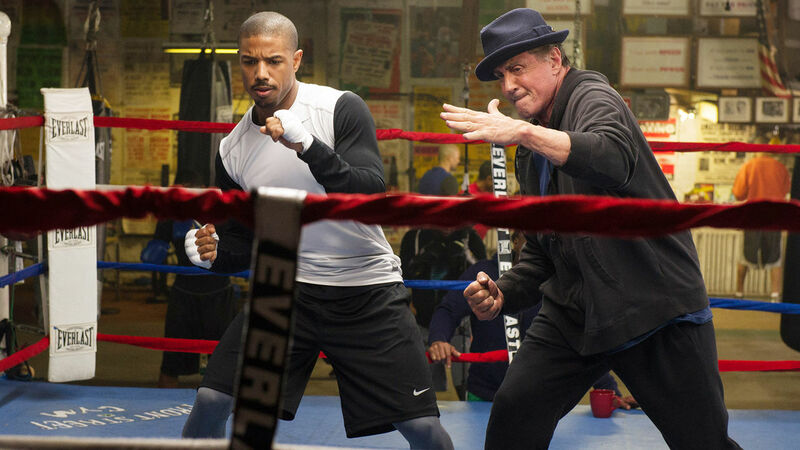 While Creed may bill itself as a sequel/spin-off, make no mistake that this is a remake. Adonis is the new Rocky, who steps into the Micky role, and world light heavyweight champion “Pretty” Ricky Conlan (professional boxer Tony Bellew) is the new Apollo. While Adonis may be fighting to prove he is his own man and not just Apollo Creed’s son, as opposed to Rocky proving he has what it takes to make it in the big leagues, the familiar story beats are there, but director Ryan Coogler (teaming up with Jordan again after his spectacular debut feature Fruitvale Station) injects proceedings with such an intense energy that it forges its own legacy. The movie kicks things off in high gear and never lets up until the final credits roll, Adonis’ journey being as electrifying and inspiring as Rocky’s was nearly forty years ago. Every scene grabs your attention, delivering emotional gut punch after emotional gut punch alongside Adonis’ head rocking haymakers. And while it may be the seventh Rocky movie, Coogler is able to put his own stamp on proceedings, including a truly amazing one take boxing match in the second that will leave you thirsty for more. For the most part, Coogler’s finger is only hovering over the nostalgia button, only dropping the slightest nods towards the fans, talk of a third Creed/Balboa fight here, star spangled trunks there. It isn’t till the climactic fight that he finally presses it, and what that moment happens it is totally earned, serving as a loving tribute to those who’ve been with Rocky for all these years, as well as whipping the audience into even more of a frenzy. The movie itself echos Adonis’ journey, it wants to step out of the shadow of it’s world famous parent, and thanks to some sublime direction, it does. Michael B. Jordan delivers yet again in the lead role, imbuing the cocky and brash Adonis with an immense likability. You’re rooting for him from the opening frame, and the air he has about him and the way he carries himself does remind you of a certain Carl Weathers in his most recognisible role. He has a great chemistry with Stallone’s Rocky, who, after seven movie, just feels like that old friend you are delighted to see every time you meet. His performance is one of the best things about Creed, it could have fallen back on pulling on all of the heart strings, but there’s a real meat to the role, and any awards Stallone has gotten or will get are greatly deserved. Bellew’s Conlon does feel like a mustache twirling caricature at times, but at the end of the day he’s a Rocky villain, driven by ego and hubris (and sometimes cutting edge Russian training techniques). To that end, Bellew is perfect. Creed could have fallen back on its built in fan base, but thankfully it doesn’t. There is enough here for both sides of the audience, Rocky fans and non-Rocky fans, to love in this absolutely sublime movie. I’m going to say it, Creed is a knockout!! !